With 1 out of 6 kids now having a Developmental Disability, 1 out of 50 Autistic (which equates to 1 out of 29 boys) there is no time to waste while academia figures this out. The child’s brain can be “Rebooted” similar to how a stroke victim can relearn to walk or talk. Early intervention is essential. 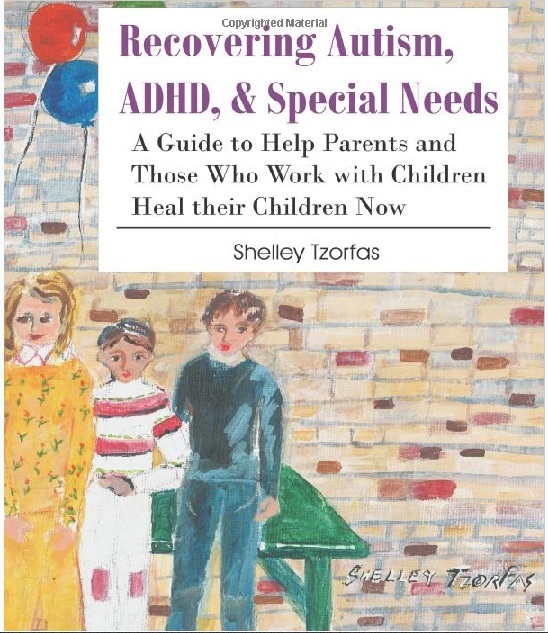 My guest tonight is Shelley Tzorfas, author of ‘Recovering Autism, ADHD, and Special Needs’. In this book, Shelley show how much of ADHD is a systemic internal infection and what to do about it. Autism is up to 50 layers of illness that effect the skin, gut, eyes not working together. She addresses sensory overload and how it is a physical illness, not a psychiatric problem, and how to strip away each layer of discomfort. 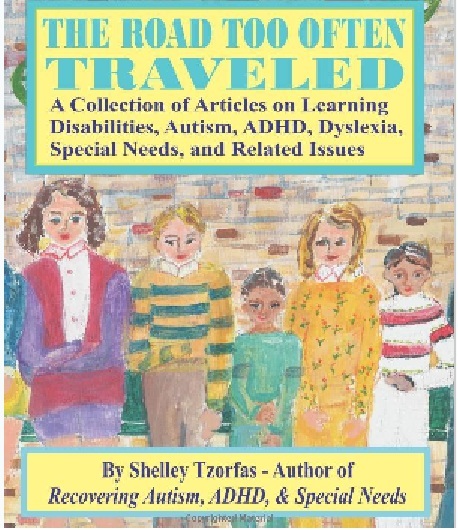 Shelley also discusses what dyslexia really is, how kids are getting misdiagnosed, why it is important to re-write the IEP or the goals for school, careers (Not grocery bagging) vacations (and scholarship) simple reading and writing exercises, free vision exercises, colleges that accept only special needs kids, and how to detox and more. Shelley has been working on a one-to-one basis with kids in her “Specialized Tutoring/Learning Assessments” business. At the beginning the clients were a little hyper or unfocused but by the 1990’s they came in with little to no eye contact, banging their heads, unable to hold down food and generally clumsy. What she discovered was that in 1986 US passed a law that blocks people from suing vaccine maker’s in regular courts. Consequently, kids went from receiving a few vaccines to getting more than 70 containing aluminum, fetal cells, parts of rats, pigs, dogs, caterpillars, formaldehyde, mercury, ether and more. They also went from milder to more severe vaccine damage. Considering going gluten-free, but not sure how to go about it? Need advice on shopping or recipes? Chef Andrew can help! And what’s even better is, he will be joining me live tonight on Truther Girls Radio from 11-midnight EST. When chef Andrew Doyle’s father nearly died from undiagnosed Celiac Disease years ago, he became a dedicated gluten-free chef and has been been cooking gluten-free ever since. He currently hosts an online gluten-free cooking show called Eat, Taste, Live, which is a live, interactive cooking class for celiacs, gluten-intolerants, and healthy eaters. Their mission is to create amazing, tasty recipes for those with Celiac disease and/or gluten intolerance. and those seeking a healthier, better today. Each class features Chef Andrew Doyle preparing various dishes that are 100% gluten free and 100% delicious. Eat. Taste. Live. Always delicious. Always gluten free. Assisting Jedi’s become Jedi Knights. 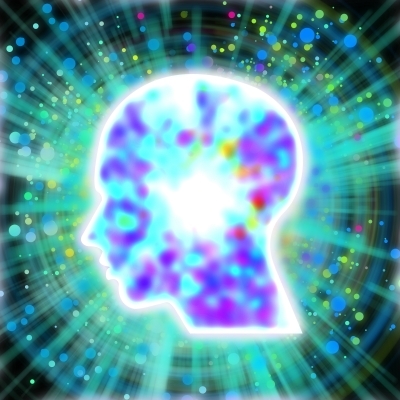 Helping you re-member what you already know and activate in you what has been dormant. Through a specific assessment and communication style that starts from go and funnels down to a bottom line, Sage is able to personalize and customize a de-programing and rewiring experience for the individual’s mind, body, & soul aspects. Sage’s unique listening style allows him to hear what your soul is saying and which parts the ego controls. By holding you accountable to your higher self, this can lead you to clearer conscious choices. Like a conductor of an orchestra that brings attention to the moment and fine tunes as the performance is happening from a unique position of the whole, holding the harmonic balance and frequency. Our shadow-self can rule us by using fear and confusion against ourselves, which are energies of darkness. Darkness has been defined as an absence of light; and by filling in the void of darkness with light, a personal freedom is realized. Like the great messenger Bob Marley sang “Emancipate yourself from mental slavery, nobody but you can free your mind”… As facilitator, Sage is able to hold more light with a very neutral and universal position through the individual’s process or situation, helping make sense of any confusion and extinguishing the illusion. This can provide more clarity for the individual to make empowered decisions for oneself. Sage is able to assist in quantumly speeding up the processing of emotions and slaying the personal demons that keep us from realizing our self. Allowing you to be more productive towards your mission and stand more comfortably in your ‘I AM’ and your ‘WE ARE’…One. – What are Chi and energy meridians? – How do scars, injuries and even tattoos interfere with them? – How does this lead to disease? – How can acupuncture, mud packs, magnetic clays, castor oil packs and nutrition re-establish the free flow of Chi across these meridians? The ITCCS is a common law de jure court made up of ordinary citizens, and which has the backing of a Belgian court, and has issued arrest warrants for former Pope Joseph Ratzinger, the Queen of England , and several others including now the new Pope Jorge Mario Bergoglio for their roles in crimes against humanity. Kevin will be telling us about the new Pope Francis and his shady history and involvement in human trafficking in Argentina during the ‘Dirty War’ years of 1976-1983. He will also be giving us an update on the proceedings of the ITCCS legal procedings. Listen live from 11:00 pm – midnight EST. Who were these ancient aristocrats of Peru with red hair and elongated skulls known as the Paracas? Were they aliens? A different type of human? How did they live and what happened to them? Join me tonight with Brien Foerster of Ancient Inca Tours to learn about the mysterious Paracas and much more. Brien Foerster was born in Minnesota but grew up on the West Coast of Canada. He holds an Honours Bachelor Of Science degree, has worked as a sculptor and carver, and was assistant project manager for the building of the 62 foot double hull sailing canoe ( ancestor of the modern day catamaran ) Mo’okiha O Pi’ilani ( Sacred Lizard That Pierces The Heavens ) and the restoration of the famous Mo’olele sailing canoe. He has authored the book ‘A Brief History Of The Incas’ which is available on this site, and is now the assistant director of the Paracas History Museum in Paracas, south of Lima. Please visit hiddenincatours.com and brienfoerster.com for more information. 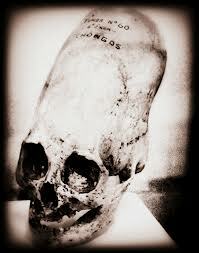 Ancient elongated Paracas skull: larger cranial capacity and only TWO plates, with ONE cranial suture! Alien hybrid? 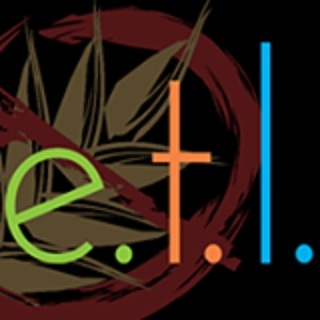 Second hour, 11:00- midnight, my guest will be Don Hayes who is building a new conscious hip hop radio network known as truthtalktunes.com where you can find hundreds of anti-NWO hip-hop songs from over 150 conscious artists. Don hosts a one-hour video podcast every week called ‘Truth Talkin Tunes with Don Haze and Solitary Spade’ where they discuss recent news relating to the NWO and play music from their awake artists. This is uploaded on their youtube channel secretsocietypro so please subscribe. In the 1980′s, Roxy was a successful musician in California, performing at clubs like the Roxy and the Whisky. She was then signed to Polygram’s, Rocket Records by Sir Elton John (album Magnetism) produced by Alan Niven (infamous manager /producer). She recorded her album, Magnetism, with Mark T. Jordan from Bonnie Raitt’s band, John Pierce of Rod Stewart, and many other players from Michael Jackson to Quincy Jones. These are only a few highlights of her career as a musician. 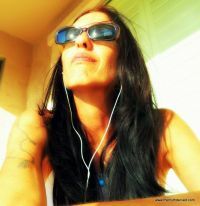 Roxy is also a published author & radio talk show host, Circuit Speaker, Humanitarian &, animal rights activist, 12 step recovery advocate and currently exploring world journalism. As well, she has donated time, money and albums to causes such as Habitat for Humanity, Children’s Hospital & Cancer Foundation, ‘Spokanimal’, a shelter for lost and abused animals, as well as National Wildlife Agencies, Cat-Care in Volcano Hawaii. Roxy is currently an investigative journalist for Chemtrails, Morgellon’s Disease & GMO (Genetically Modified Organisms) also works with Doctors around the world for cures, & teaches Permaculture (Organic Growing). Refusing to let one spotty-faced teenager with a hacking program ruin his mission to spread awareness about the NWO, Arron moved his vlogging over to his other channel , PoliceStateRadio and continues to upload regularly. In addition to political commentary, he also makes music videos to accompany his own songs as well as covers and re-writes of popular songs. Having taken as a learning experience the rotten saga of his channel getting hacked, Arron will be happy to share with you what he has learned about keeping yourself safe online. Tonight on Truther Girls radio from 10:00- midnight EST, we’ll be having a double-whammy of Canadian activists fighting for the rights of aboriginal people and demanding accountability from both church and state. First hour, my guest will be Kevin Annett, former minister with the United Church of Canada and one of the founders of the International Tribunal Into Crimes of Church and State, which is calling for the arrest of (now former) Pope Joseph Ratzinger and putting a lien on Vatican wealth to have it returned to the people. Please visit itccs.org. 2. To stop these and other criminal actions by church and state. Please read the article, ‘Pope Benedict resigned to avoid arrest, seizure of church wealth by Easter‘ for more on how the ITCCS may have been the true reason for why Joseph Ratzinger resigned. Second hour, I will be speaking to Anthony (Tony) Hall, Professor of Globalization Studies at the University of Lethbridge, Alberta. 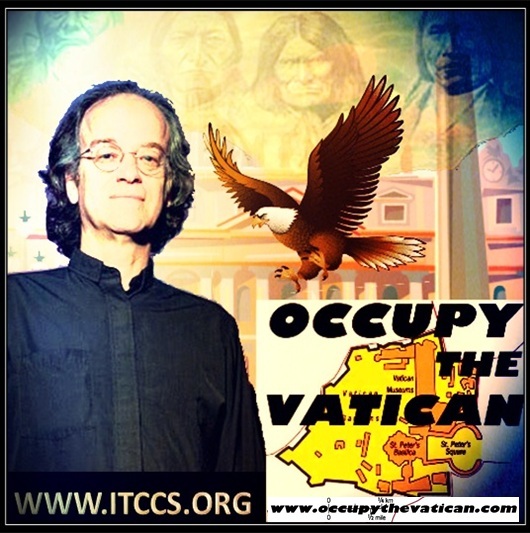 Tony is the author of two books, ‘Earth Into Property: Colonization, Decolonization, and Capitalism’, describing the disastrous effects of capitalism on indigenous people, and ‘ The American Empire and the Fourth World’. Tony is also a regular columnist on Veterans Today, and you can see his articles here. Tony has been very active as an Aboriginal People’s rights activist, drawing attention to the fact that the Canadian court and government routinely violate aboriginal treaty rights. Please check out his article ‘The Canadian Ministry of Justice ‘s Anti-Aboriginal Policies Exposed’on Veterans Today here. Some of his other priorities include the quest for 9/11 Truth and the need for appropriate international responses to the massive global catastrophe emanating from the slow bonfire of tens of thousands of tons of radioactive materials at Fukushima. Tonight, we will be discussing the Canadian Idle No More Movement and the progress that Canadian Aboriginal people have been making in standing up to the government that has committed genocide against the First Nations people.